When the ceremony is done and the honeymoon is over, newlyweds come back to face their regular lives. Depending on how well they stuck to their wedding budget, that could mean a welcomed break from the chaos or a harsh reality check. The financial aftermath of hosting a grand event is stressful, but when those expenses impact future financial challenges — buying a home, having children, etc. — the frustration only grows. Financial issues can add stress to an already sensitive situation, but by asking tough money questions before the vows are exchanged, couples can help keep some of that stress at bay. 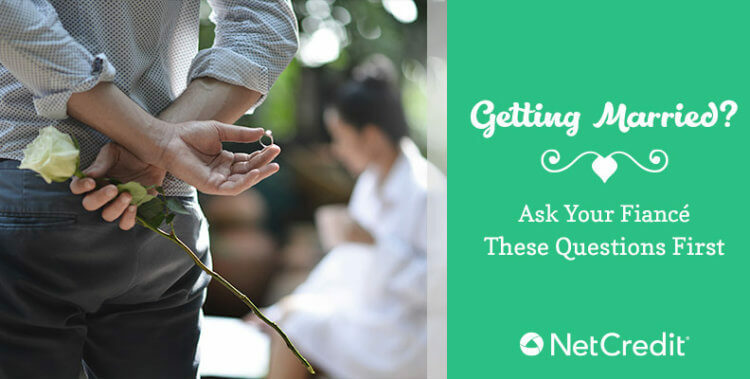 As relationship consultant Genevieve C. West put it, “Financial transparency in marriage will help cultivate trust, and will contribute to longevity and happiness in marriage.” With that in mind, we’ve spoken with relationship and financial experts, and compiled the top 10 financial questions to ask before getting married. 1. What’s the debt situation? 2. What’s the credit situation? Andrew G. Poulos of Poulos Accounting & Consulting, Inc., concurs. “There are so many couples that get married and they have no idea what their partner’s credit looks like. Credit and financial problems can be a major challenge in a marriage, and couples who disagree about their finances once a week or more are 30 percent more likely to divorce. One spouse having poor credit can be challenging.” Being aware of the situation from the outset can help you plan your purchases and set you on a path toward improving poor scores. 3. Should we have a prenup? 4. What if there’s an emergency situation? 5. How should the budget be handled? 6. What do our records look like? A number of past records come into play when a couple gets married. Make sure they’re addressed before tying the knot. Eustace L. Greaves Jr. of Greaves Financial Services suggests asking questions like “How many judgments, liens, bankruptcies, repossessions or foreclosures have you had in the past five years?” and “How is your driving record?” The answers to these questions can impact your credit-insurance score for auto and home insurance, as well as the cost of home and auto insurance. Andrew Poulos suggests asking additional questions like “Do one or both spouses have tax debt they owe to the IRS or the state government?” If so, you’ll need to plan and be careful how you file because prior years’ tax debt can be offset with future income tax refunds that both of you will get when you file jointly. 7. What if a work- or family-related financial issue arises? 8. Will we have joint accounts? 9. Who will hold the financial responsibility? Skip Johnson of Great Waters Financial explains, “Couples need to work together to determine who will be responsible for which financial duties. One person may like paying bills while the other person hates it. Or maybe both feel the same way, and they need to take turns. What’s important is deciding who will do which financial chore, and also making sure that both people feel like they’re part of a team and are working together to achieve their mutual financial goals.” Cheryl J. Sherrard of Clearview Wealth Management adds, “Decide what level of spending you would want to know about before your significant other made a purchase without you.” Addressing this early on will help prevent squabbles over smaller purchases. 10. What are our goals? No matter how you divvy up the responsibilities, sort your budget or allocate your personal and joint accounts, the most important thing is that you are open and honest with your partner. Transparency will help make your everyday financial decisions a part of your regular routine. Learn more about your personal finance options so when tougher financial challenges arise, you’re better prepared for the unexpected.